Successfully saved Hoisin Orange Glazed Chicken Thighs to your Calendar. You can also save the ingredients to your Grocery List. 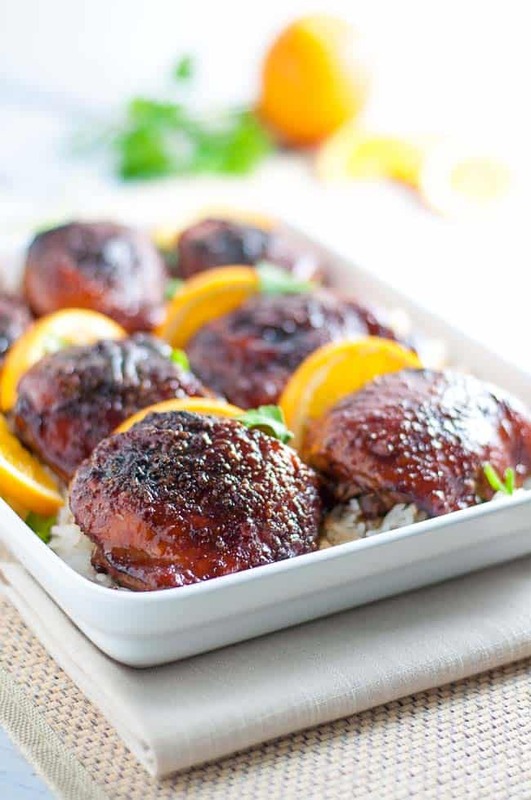 This easy recipe for Hoisin Orange Glazed Chicken Thighs makes succulent juicy chicken with hints of orange, ginger and garlic.